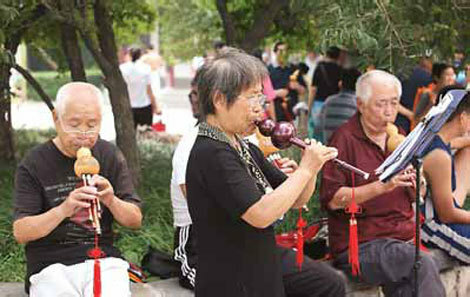 Senior citizens find recreation at Baotu Spring Park. Behind Jinan's modern bustle, Chitralekha Basu and Zhao Ruixue find that lyrical scenes and traditions remain. There is a face of Jinan that's dramatically different from the intense weave of high-rises, multi-tiered flyovers and glitzy storefronts that meets the eye at first. The flip side to this world of vehicles whizzing past and the hammering and scaffolding signifying continuous construction activity is not difficult to locate. The moat that once ran round the old city is still the focal area if you're looking for some of Jinan's most iconic landscapes - where the city's elderly and the very young like to gather. It's a retreat for those who want to renew their bonds with nature, even as life speeds past them in one of China's fastest-growing manufacturing and technological hubs. Our journey began at the south gate of Baotu Spring Park, where the most spectacular cluster from among Jinan's famed 72 springs might be found. The springs in Jinan are a way of life here, especially for seasoned Jinan natives who come here early to chat or sing with pals. 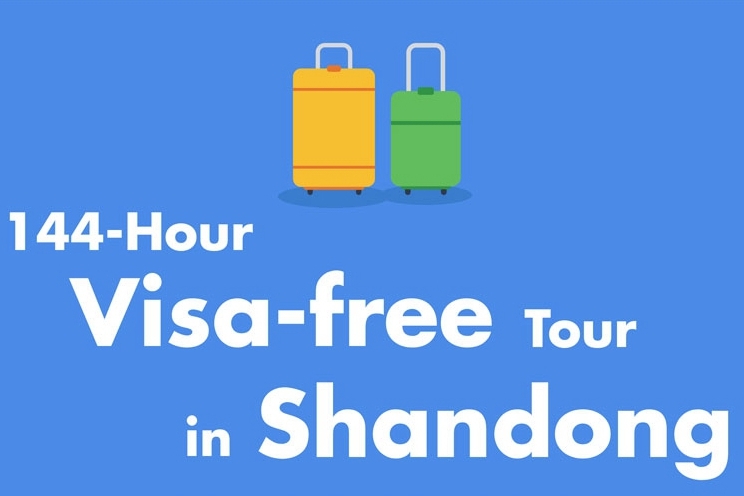 They may take in a Shandong opera performance or two even as they keep an eye on their pint-sized grandchildren, cavorting merrily in the park, looking out for the lone seal in one of the ponds while shoals of goldfish swarm in the rest. 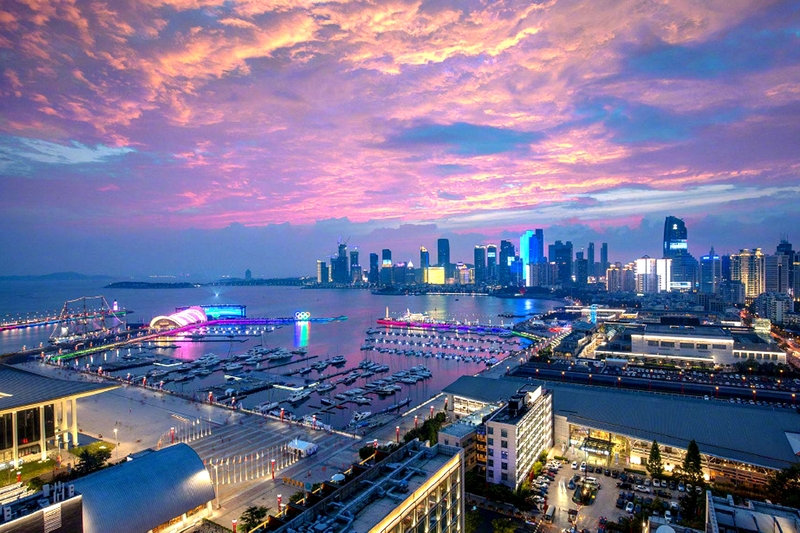 Nature has been generous with its gifts to China, and the amazing natural phenomena in this land have become a reference point for China's writers and artists. Baotu Spring Park is no exception. For instance, a couplet written by Yuan Dynasty poet and calligrapher Zhao Mengfu (1254-1322) - "Mount Hua cannot be overcast by the clouds and fog/ The waves and the billows reach the Daming Lake" - appears at the Luoyuantang Temple, a two-tiered pagoda-roofed pavilion overlooking the water mass created by the three major springs in this park. The springs, despite Jinan's low water levels, keep gushing forth and sending out ripples in concentric circles - the temperature a constant at 18 C all the year round - affirming the perennial renewal of the natural cycle. Cangyuan Garden used to be the study of Ming Dynasty poet Li Panlong (1514-1570), and is still referred to by his nickname. It has since been turned into a gallery exhibiting the works of the master landscape painter Wang Xuetao (1903-1982).